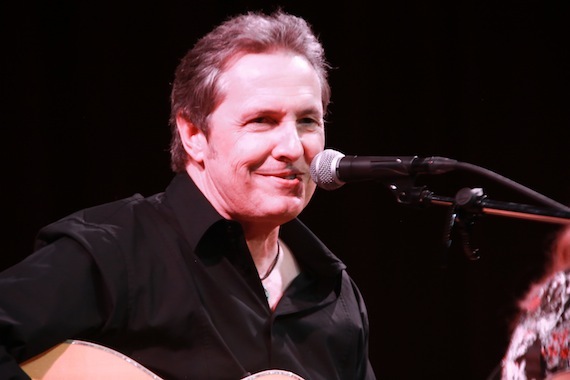 The Nashville Songwriters Hall of Fame (NaSHOF) hosted its second Hits From The Hall show on Tuesday, June 23, at City Winery Nashville. Hall of Fame member Gretchen Peters (“Independence Day,” “You Don’t Even Know Who I Am,” “The Secret Of Life”) was joined by special guests Jim Collins ( “The Good Stuff” “Are You Gonna Kiss Me Or Not” “Big Green Tractor”) and Shane McAnally (“Better Dig Two,” “Merry Go ‘Round,” “American Kids”). Proceeds from the event benefit NaSHOF. Jim Collins performs at City Winery. 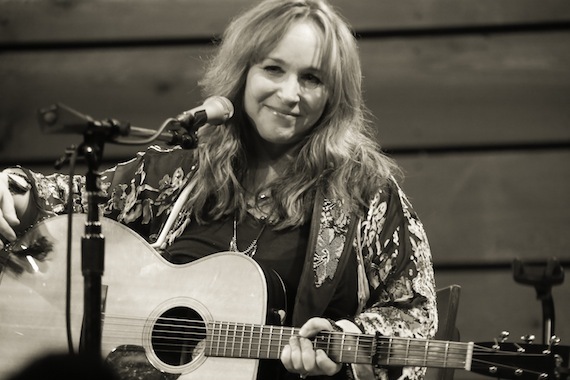 Gretchen Peters performs at NaSHOF fundraiser. 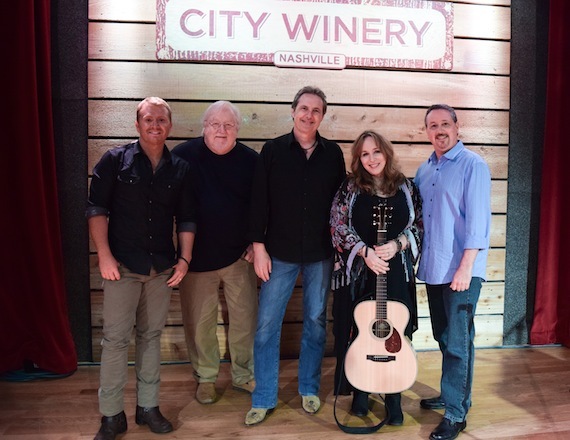 Pictured (L-R): Shane McAnally, Pat Alger, Jim Collins, Gretchen Peters and NaSHOF’s Mark Ford.